The Monstrous Regiment of Lewisham Women : Let's keep our babies free at the point of delivery! Let's keep our babies free at the point of delivery! 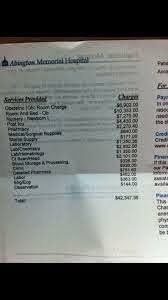 In the USA having a baby is an expensive business. To bring home a new bundle of joy can cost the doting parents $42,000 – roughly the same as a mid-range car but with a lot more noise, nappies and, however much you might be tempted, you can't trade it in for an improved model. At the moment in the UK, our bundles of joy are free at the point of delivery. Bed, board and midwife are all inclusive. But, in a fragmented and privatised service such as the American healthcare system women are not at the centre of care, profit and the bottom-line is. Insurance based systems are perfect breeding grounds for unregulated intervention. Women and their partners are sold 'maternity packages' including regular scanning, epidural, even elective caesarian – never mind if these interventions are medically indicated, never mind that research has categorically shown that allowing childbirth to be as normal as possible is best for the mother and baby. And certainly no thought to public health policy which has years of experience and knowledge about serving the health and maternity needs of our population. Mothers understand the complexity of maternity care. We believe that every woman should have a named midwife and that women be supported in their choice of where to give birth. We want a woman-centred care model that allows midwives to focus on our needs rather than the gruelling bureaucratic process of administration. We demand a compassionate midwife to woman ratio on our postnatal wards and that women are properly cared for in the community by regular postnatal visits at home. We are fighting for the right for every woman to have a free, safe and compassionate maternity service.